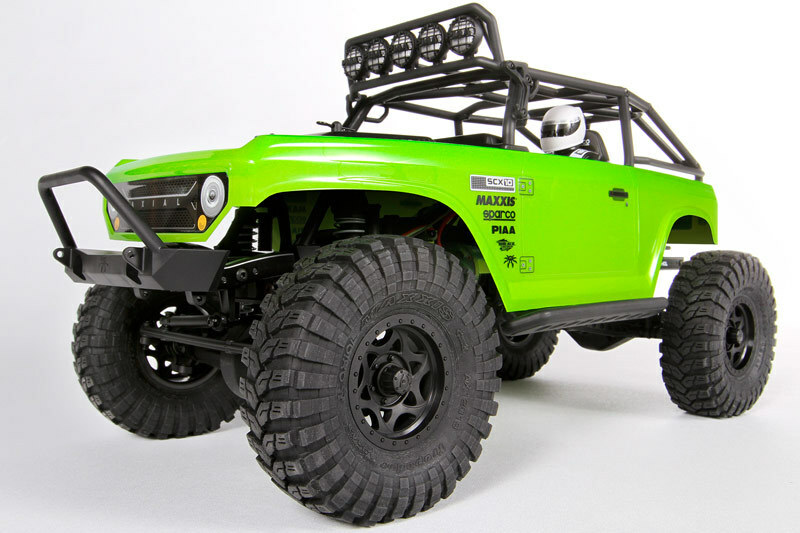 This is the Electric Powered, 2.4GHz Radio Controlled, 1/10 scale Ready to Run SCX10 Deadbolt Rock Crawler Truck from Axial. The universal dove-tailed bolt-in cage is made to fit rig bodies modified for maximum clearance. 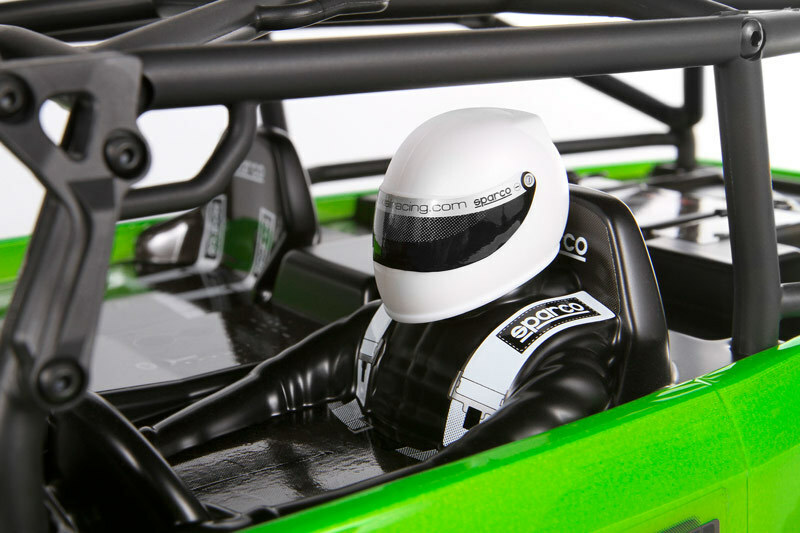 This cage also works with AX04038 Jeep® Wrangler Rock Racer Body. The SCX10 also includes a rock solid, proven durable transmission with a protective cover to keep dirt and debris out of your pinion and spur gear and a dual slipper clutch that allows the motor to work more efficiently which greatly enhances the durability of the drivetrain. The realistic high strength c-channel chassis frame is made of durable steel with cross bracing for reinforcement and is held together with all hex hardware. We dare you to think differently about R/C! If you can hike there, your SCX10 will drive there! 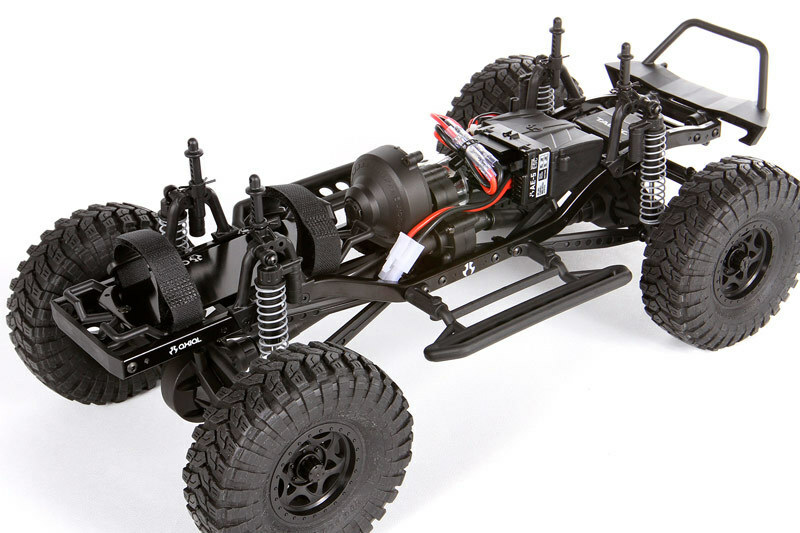 With today's efficient motor and long lasting batteries, you are only limited by your imagination and/or your physical readiness to adventure out onto a hike while driving your SCX10 . It's a great way to get in touch with nature and spend time with friends and family while having a ton of fun doing so!